Startup mobile solutions provider offers modular tools and effortless scalability to support a rapidly growing industry. LAS VEGAS, March 27, 2017 /Weed Wire/ — MariBiz (http://maribiz.com/), the mobile-first platform for canna-businesses that wants to turn #Green2Gold, made big noise at the California Cannabis Business Expo in San Diego — and the investment community is taking notice. The company offers first-of-its-kind software designed exclusively for cannabis dispense-and-deliver services, which are witnessing dramatic growth everywhere cannabis products have been approved. The legalization of recreational marijuana in California represents a landmark moment for the entire industry, as the sheer size of the state’s economy translates into substantial inertia toward a rethinking of policy at the national level. According to Time Magazine, the California market for cannabis products could surpass $6 billion by 2020. And that market will need a vast human and technical infrastructure to support it. MariBiz hopes to fill that void: By streamlining the front- and back-office work of cannabis dispense-and-deliver services, more businesses will be able to participate in the market effectively and produce the kind of innovation today’s consumers expect. In short, all the pieces are in place for MariBiz to see strong, sustainable growth for years to come. Standard features of MariBiz include mobile and desktop versions of a web store, point-of-sale system, a delivery system, CSS customization, and robust data encryption. Other features are available as modular tools, so canna-business owners can purchase exactly what they need at an affordable price, then add more tools as their commerce expands. In the near term, MariBiz plans to open a round of Series A funding while at the same time rolling out new service offerings. The company is also looking at a rapid U.S. expansion as legalization efforts in other states gather momentum. 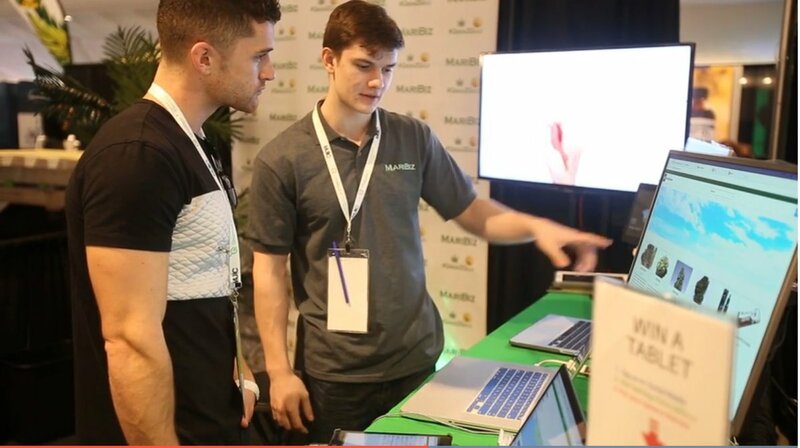 Launched in January 2017, MariBiz is a solutions company, helping canna-businesses attract more customers, sell more product and make more money with less work and expense. MariBiz is an affordable software platform that streamlines complicated sales, delivery and inventory processes into a simple interface, while protecting business owners and their clients/patients/members with encryption. MariBiz was founded by a group with decades of experience as entrepreneurs, industry insiders and technical developers.